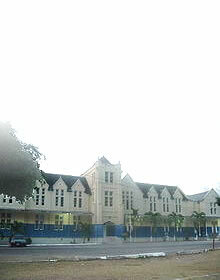 The two-storey Jamaica Georgian building at 150 East Street is one of the few remaining structures of such design in Kingston. It stands in stark contrast to the twentieth century Ministry of Education buildings and as such remains a treasure. 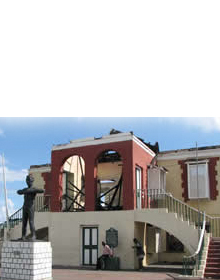 The building is a two storey brick and timber nineteenth century structure of Jamaica Georgian and vernacular features. The upper floor is entered by graceful iron railed curved steps. The building also has jalousied piazzas designed to provide a cool dwelling in the heat of the tropics. This dwelling was modified with the addition of vernacular features. These features include window shading devices, the front entrance double staircase with wrought iron decorative rails, the baluster rails and the extended upper floor landing being covered by a triangular pediment and doric columns. The house at 150 East Street was for many years associated with the Malabre family who were of Haitian émigré descent. 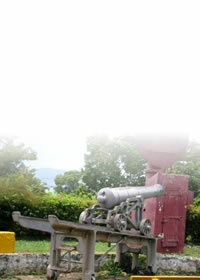 The Malabres were among the families from St. Domingue (Haiti) who sought refuge in Jamaica after the revolution in that country (1791 to 1804). The Malabre family reached the zenith of their wealth and influence in the last twenty years of the nineteenth century. 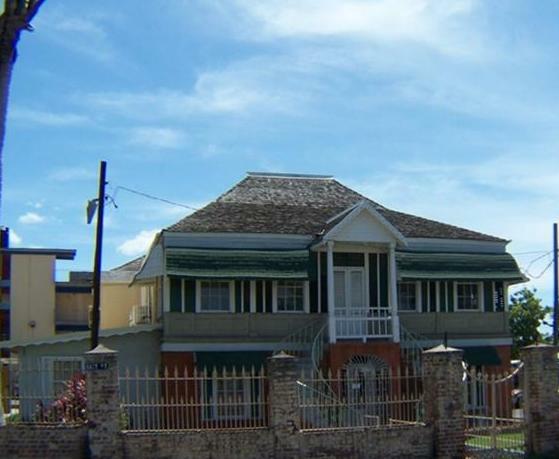 The family had at least three houses on North Street and the attractive dwelling house at 150 East Street and another at “The Grove” in Gordon Town. “Deaths.” The Daily Gleaner, February 19, 1927. Hart, Pansy. “150 East Street.” The Daily Gleaner, April 10, 1977. 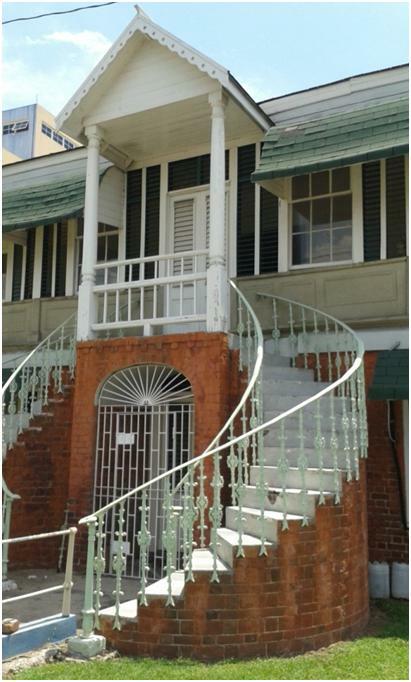 “Historic Structures Malabre House,” Jamaica Journal 28, no. 1, 2001. Jamaican Family Search Genealogy Research Library - Descendants of Louis Rene Malabre, Part 1 to Part 5 accessed November 11, 2015. Jamaican Family Search Roman Catholic Families Descendants of Pierre Daniel Benjamin Meschinet de Richemond accessed December 10, 2015. “Passing of Mr. J. I. Gadpaille.” The Daily Gleaner, December 11, 1929. “Property And Money Left to Residents Here.” The Daily Gleaner, July 15, 1927. “Mr. George Desnoes and Miss E. Smith Married Yesterday.” The Daily Gleaner, December 11, 1931. “Notices.” The Daily Gleaner, November 5, 1952. “Sudden Death of Mrs. Louise Desnoes.” The Daily Gleaner, January 28, 1946.